Manchester United striker Romelu Lukaku. 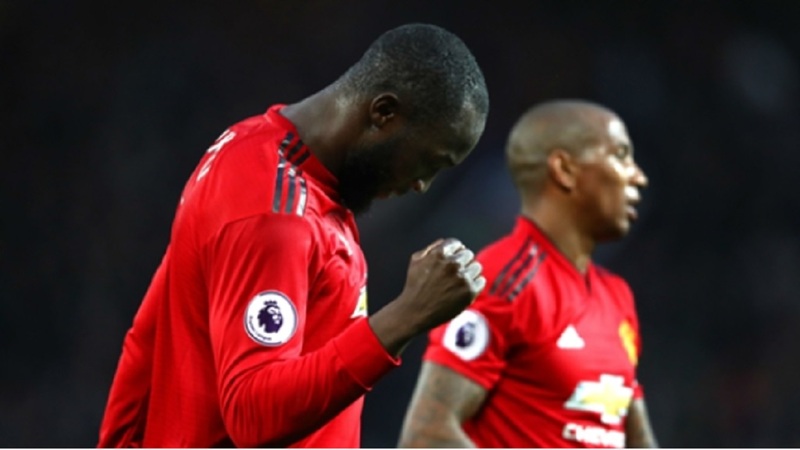 Romelu Lukaku celebrated his return to the Manchester United starting line-up with a goal as Jose Mourinho's under-fire side breezed to a 4-1 win over an abject Fulham. Lukaku's close-range finish was his first at Old Trafford for 997 competitive minutes and followed efforts from Ashley Young and Juan Mata inside the opening half hour. Claudio Ranieri's team lived down to the reputation of the Premier League's bottom club and any encouragement from Aboubakar Kamara's 67th-minute penalty was extinguished by Andre-Frank Zambo Anguissa's red card 47 seconds later. 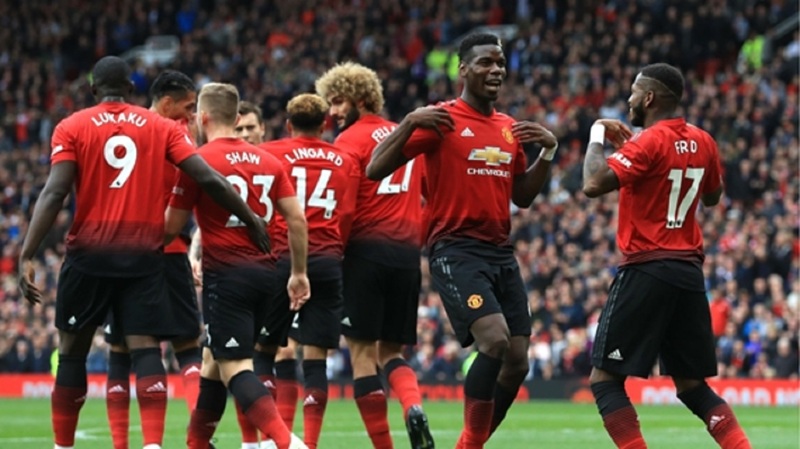 Marcus Rashford completed United's first win in five league games, achieved with Paul Pogba as an unused substitute, which lifts them up to sixth. Lukaku's pass cut Fulham apart down the same flank and Mata's finish through the legs of Tim Ream matched the precision of Rashford's cutback – the England forward whose venomous free-kick was well saved by Sergio Rico in the 38th minute. Unfortunately for the Fulham goalkeeper, the defensive efforts in front of him remained woefully tepid and Lingard released Mata to give Lukaku a simple finish before half-time. Rico bravely threw himself at Lukaku's feet to save following a teasing cross from Diogo Dalot early in the second half. The overworked Rico saved well from Rashford and Lukaku following the introduction of Fred as a substitute. Given those stops, it was somewhat galling when Rico patted Rashford's speculative 83rd-minute effort into the net. 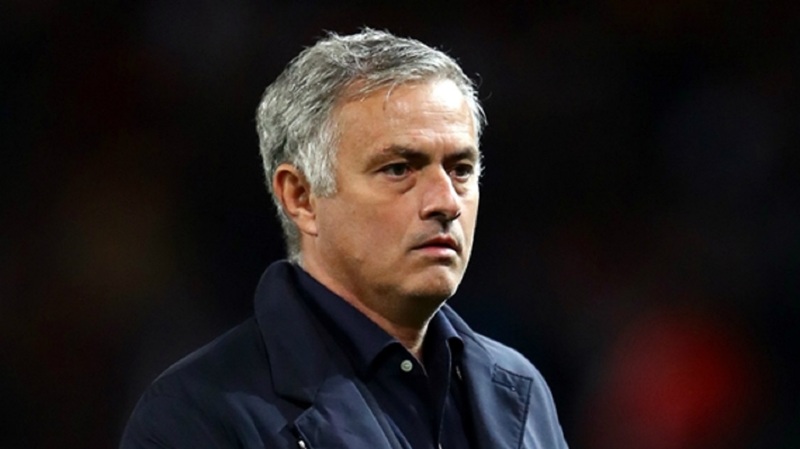 The unusual spectacle of Mourinho's agent Jorge Mendes effectively offering his client a vote of confidence on Friday stood as the latest indication that all is not well at Old Trafford. At the very least, this authoritative win acts as a moment of respite for their beleaguered boss, who tastes victory in the Premier League for the first time since November 3. If Fulham's return of four points from Ranieri's first three games at the helm was cause for encouragement, such a meek surrender perhaps indicates the true magnitude of his task with the Premier League's bottom club. Young's goal was his first in 39 games across all competitions for United since a brace against former club Watford last November and he looked to repeat the trick shortly afterwards. On the other wing, Dalot had already driven forward from deep to send a pair of testing deliveries into the box. The veteran and the youngster gave United's performance a dynamism that has been sorely lacking over recent weeks and the rewards followed. For United's opener, Young was kindly presented with the chance to relive his years as a flying winger. Odoi was obligingly nutmegged, taken out of the game too easily. His attempts to stop United's subsequent goals down his side were notable by their absence. It raised the wider question of why, as Fulham spent in excess of £100million in the past transfer window, did they leave themselves needing to rely on a player appearing so out of his depth at Premier League level.